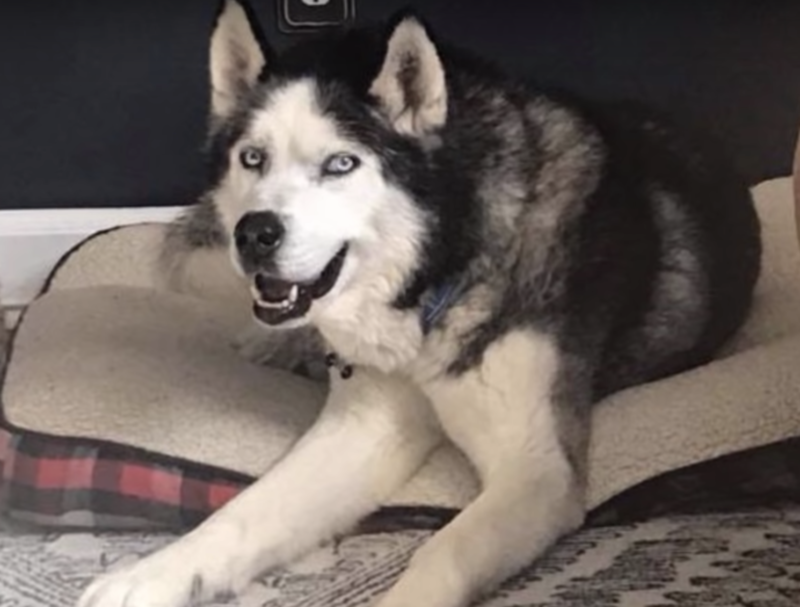 Cloud, a 15-year-old husky, was never a house dog. Instead, he had spent his entire life chained up outside, sun or rain. On one cold February morning, emergency workers rushed to a house located in New Philadelphia, Pennsylvania as its roof had collapsed on another dilapidated house. 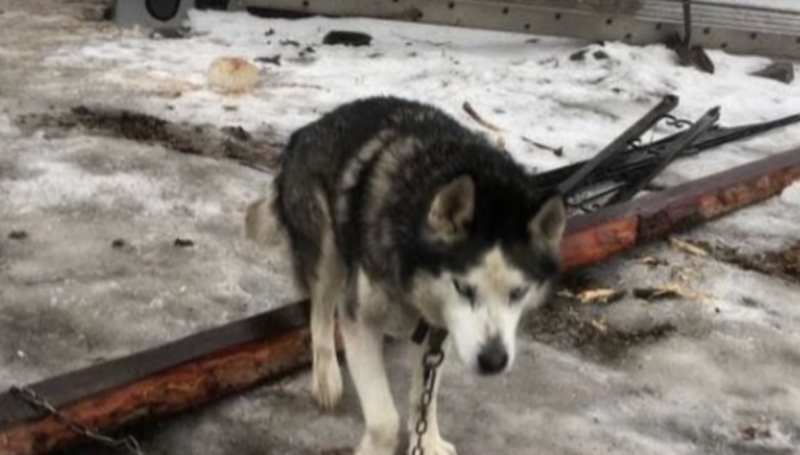 They noticed an old husky tethered in the snow, on a heavy chain. 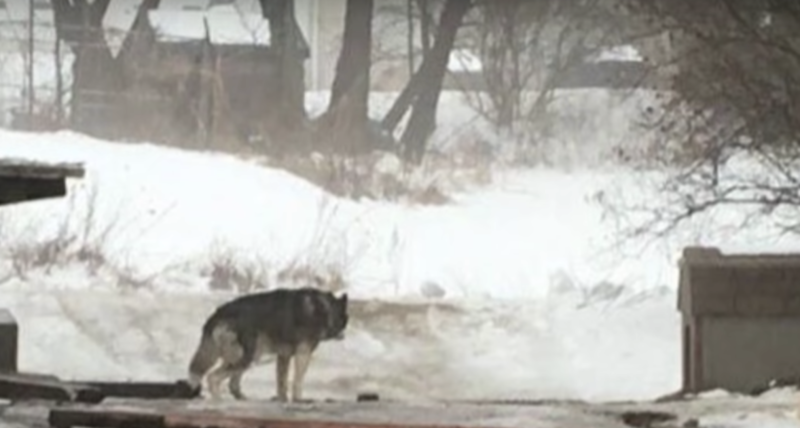 In Pennsylvania, Libre’s Law rules that it is illegal to keep a dog chained up outside (especially on unsanitary conditions) for more than nine hours a day, with a maximum of 30 minutes in extreme temperatures. The owners of this husky broke all the rules. 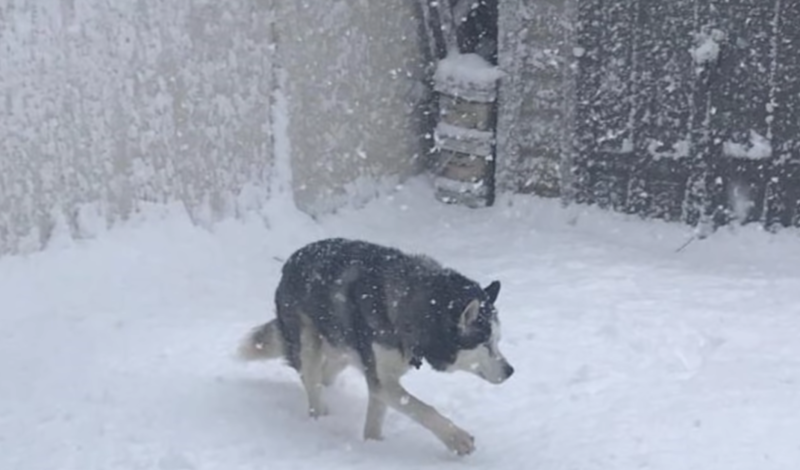 The poor husky had only a small dog house and a car roof for shelter, but it was not enough to shield him from the bitter cold. Plus, he had neither food nor water. Rescue workers from Hillside SPCA, an animal welfare organization and shelter, were called in to help. They persuaded the Husky’s owners that they were breaking the law, thus a need to surrender Cloud to them. 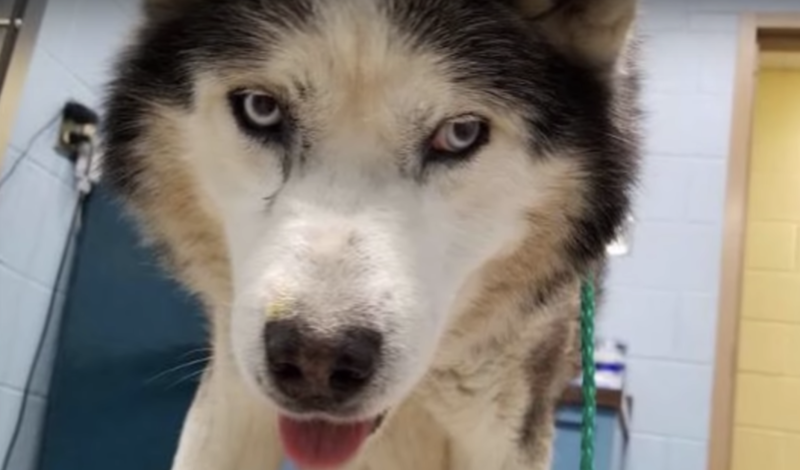 He was a broken and sad shell of a dog – with thickly matted fur and a large mass on his hind leg, the Husky was proved to be also starved very thin. Rescuers brought poor Cloud back to the shelter, where a vet discovered a tumor which was unsafe to operate on due to his age. Cloud was also deaf and struggled to cope whilst in the shelter. Moyer got in touch with Eleanor Garrett, who was the co-chair of Senior Dog Haven and Hospice, to ask if she could foster Cloud. Garrett agreed to take Cloud, but Cloud would never stop pacing and moving around in anxiety – he was also running into and knocking many things over. Initially, Cloud did everything he could to avoid contact with Garrett and her three young children by hiding in tight corners or near her dryer. After some time, Cloud soon opened up and learnt the ropes on how to be a dog, thanks to Garrett’s care and the help of her six other dogs – Izzy, Charlie, Boo, Casper, Riley and Sue. As Garrett’s home was always meant to be temporary for Cloud, a meet-and-greet session was arranged once a couple expressed interest in adopting him – it was an instant success. Today, Cloud, now renamed Titus, is currently enjoying life as a very pampered dog!